Yeezus has entered the building! Before the Grammy-winning rapper and successful producer proclaimed himself the “God,” he was just your average boy from Atlanta, Georgia. Born on June 8, 1977, he was brought into a family of creativity, with his father being an award-winning photographer and his mother, an English professor. At the age of three, his parents divorced, and he moved to Chicago where he grew up. After high school, he attended one year at Chicago State University before dropping out to pursue a music career. By 1998, he was already producing for well-known artists like Jermaine Dupri and Foxy Brown. Then came his big break: Well-known rapper Jay-Z hired West to produce songs for his album The Blueprint, which sold over 420,000 copies in the first week alone. While producing artists including Ludacris and Beyonce, he produced a demo and started shopping it around. In 2002, he signed with Roc-a-fella Records and began working in the studio. His first album The College Dropout was released in 2004 and sold 2.4 million copies. West’s later albums soared to the top of the charts as well, and he has won a total of 21 Grammy’s, making him one of the most-awarded artists of all time. Despite his success, he’s no stranger to controversy and is constantly being called out by the media for his bad behavior. It’s hard to imagine that the rapper has time for a relationship and love life, but Kanye West had several celebrity exes before settling down with his dream girl Kim Kardashian. 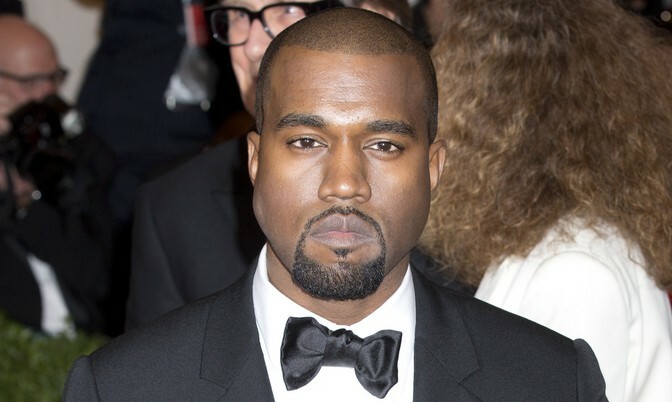 In 2006, West was engaged to Alexis Phifer, but after two years, they called off the celebrity wedding; his album 808s and Heartbreak was partly inspired by their celebrity break-up. In 2009, he introduced the voluptuous beauty Amber Rose to the world. Both had a unique taste in fashion, which made for some interesting red carpet photos. After the famous couple broke up, he was rumored to be with models Kate Upton and Candice Swanepoel. Finally, in 2012, West asked Kardashian on a movie and dinner date. The two had been longtime friends, and once they started dating, Hollywood went crazy. They welcomed daughter North into the world in June 2013, married in Florence, Italy in May 2014, and welcome son Saint in December 2015. High-Risk Celebrity Pregnancy Has Kim Kardashian "Scared"